We often talk about epoxies in industrial, life-changing and innovative applications, but these resins can have other, more delicate uses. Their well-known versatility allows them to be used in different types of artwork, crafts and jewellery too, proving that they not only make things work better, but also look better. These resins are also easy to work with. The hundreds of online tutorials explaining how to make your own jewellery are a testament to how great of an ally epoxies can be to embrace the DIY world. No matter how easy it may seem, it is always important to handle epoxies correctly. Please read our safety measures if you decide to embark the adventure. Generally speaking, there are two things to take into consideration before starting: pot time – the amount of time you can work with the resin after it is mixed and before it starts curing-, and cure time – the total amount of time needed for the resin to completely cure. Read the label carefully, as depending on the resin and the brand, these times will be different. With this in mind, it is time to roll up your sleeves and get crafty. The resin should be mixed with the hardener or activator in a 2:1 ratio, meaning two parts of resin for one part of hardener. Getting a good mix is crucial for the resin to cure properly. Gently stirring the cup for a minute or two while scraping the sides with a stick can help avoiding air bubbles. When using colour, it should be added drop by drop. Feeling brave? Try using alcohol inks or paint pigments. It’s always advisable to experiment on some test pieces before attempting to create a masterpiece, as sometimes the pigments attract moisture which might affect curing. Once the mix is ready, all the different bits to create a piece are set on moulds to give them their final look. After it has cured, the piece should pop out of the mould very easily – ready to show off your final work of art. Jewellery-making using epoxy resins is similar to baking, where the secret lies in mixing the components with the precise ration and respecting the times. 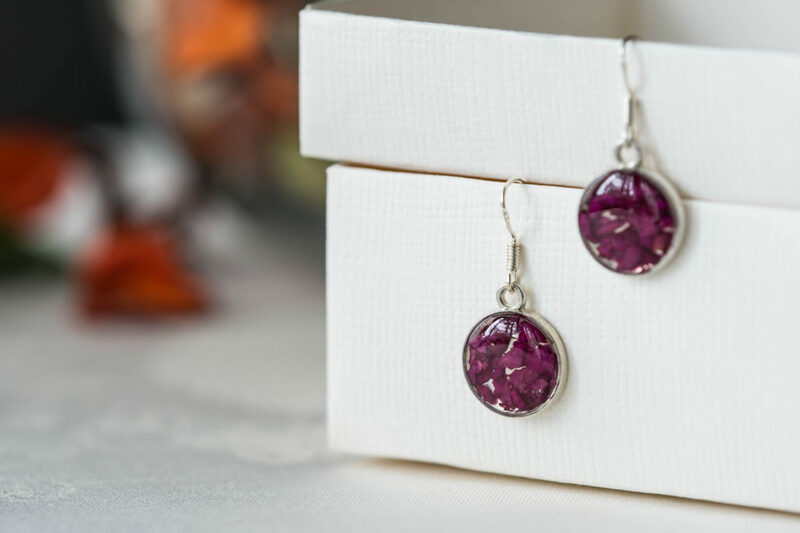 Like cooking, making your own jewellery can be fun and can help unleash your creative side – perhaps this can eventually grow from a hobby into a business. There are endless possibilities to play with colours, shapes, and sizes. The best part? It is always guaranteed you will end up with a unique and original piece every time.